An increasing number of people live in areas with unhealthy levels of air pollution, and indoor pollution is said to be worse than outdoor air. The dust and particles in your our homes are a constant stress on your body. Ions are charged atoms or molecules, and negative ions attach themselves to airborne particles to remove them from the air. They are found in abundance in natural settings - you may notice that a walk through a forest or by a mountain stream feels soothing and relaxing. The Japense call this "shinrinyoku" or "forest air breathing" . The Nikken Air Filters are unique in that they produce negative ions without creating ozone which is classed as a toxic gas in some countries. They work automatically through sensors that detect a change in the air. 1. Multiple-stage air filtration, using a number of different approaches in a sequential arrangement. 2. Negative-ion generation, producing an effect considered beneficial to health. 3. A design that avoids the production of ozone, a common by-product of many air-purifying systems. 4. 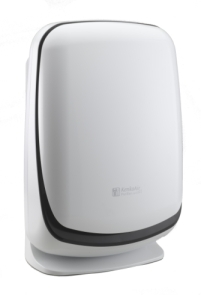 An air quality monitor and automatic operation to maintain a desired level of air quality. Carbon absorption is a highly effective means of reducing contaminants. Adsorption is the capability of a solid substance to attract to its surface molecules of gases or solutions with which it is in contact. It differs from absorption, where the material is drawn below the surface, as with a sponge. Filtration of indoor air has been shown to be effective in relieving or preventing a variety of respiratory discomforts. Daily exposure to indoor pollution may be as much as 100 times as high as that of exposure to pollutants outdoors. This is due in part the increased amount of the day and evening spent inside (up to 90 percent of the total). Reducing indoor contaminants can have a dramatic effect on improving quality of life.